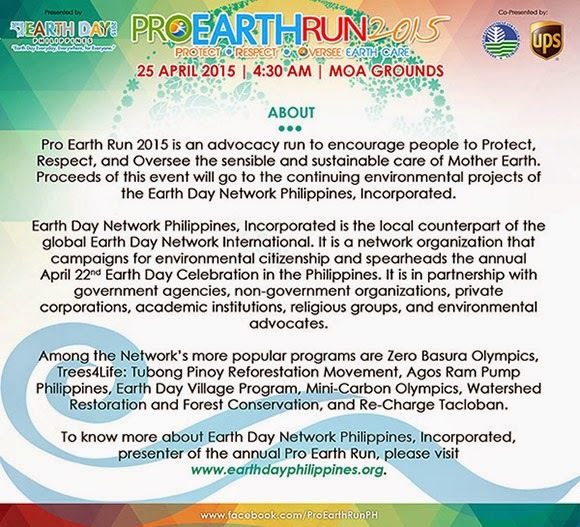 To increase awareness on environmental responsibility and raise funds for Earth Day Network Philippines' continuing projects and programs, do join the PRO Earth Run on 25 April 2015, 4:30AM, Mall of Asia Grounds, Pasay City. 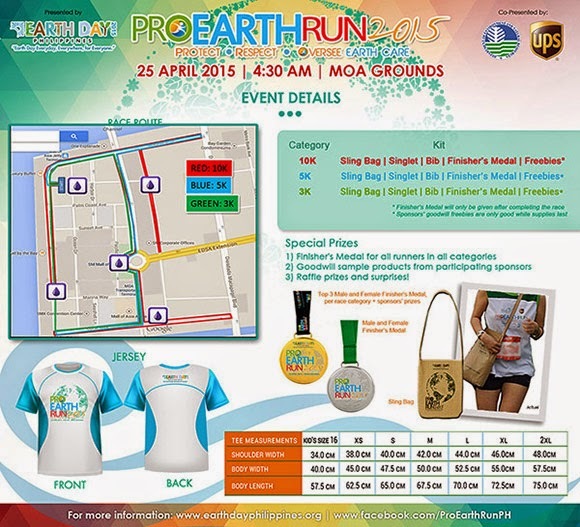 To register, simply click the link below. 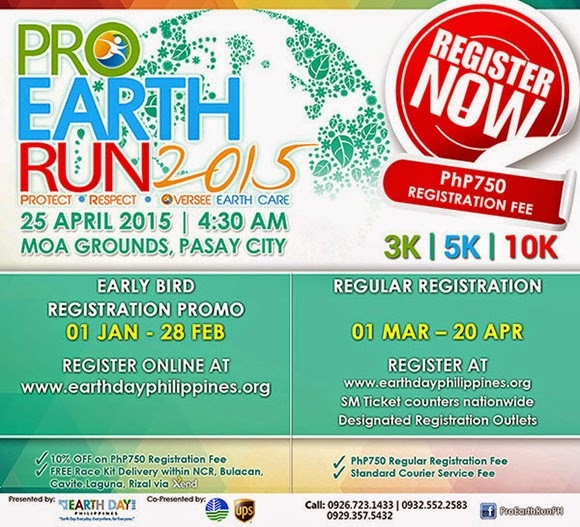 Let's all run the race for Mother Earth!